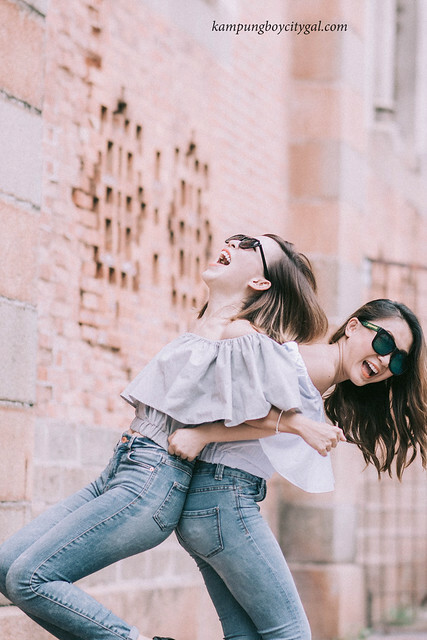 It all started with a simple conversation between me and my BFF. 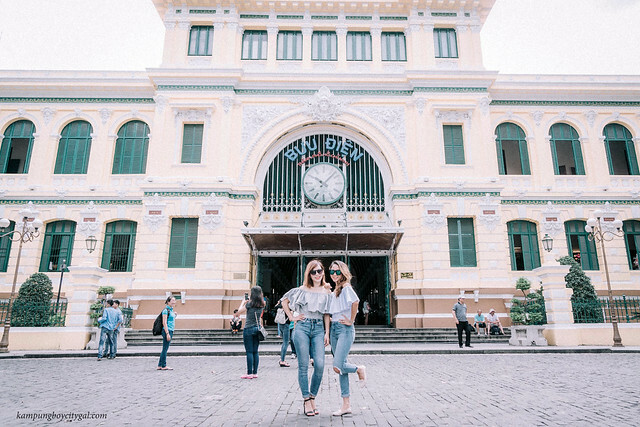 The next thing we knew, we were already booking for flight tickets to Ho Chi Minh city. What a spontaneous decision! 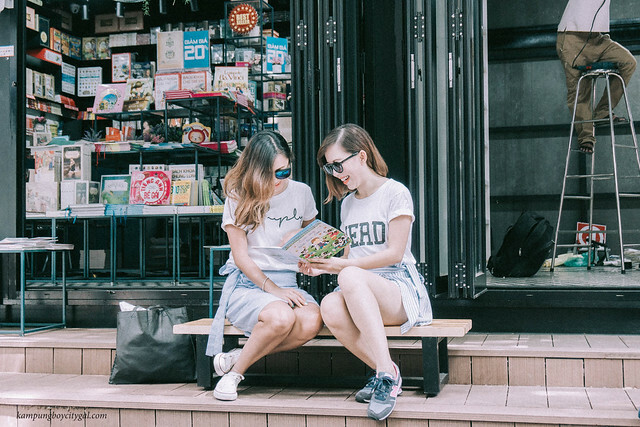 Ho Chi Minh city is buzzing with energy. Attracting millions of visitor each year, this city has got a lot to offer. 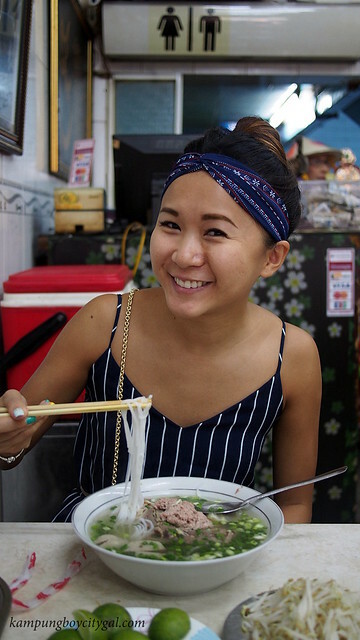 There’s well-preserved colonial structures, war relics from the devastating Vietnam War, sleek skyscrapers, expansive shopping malls and local market where one can experience the locals way of life. 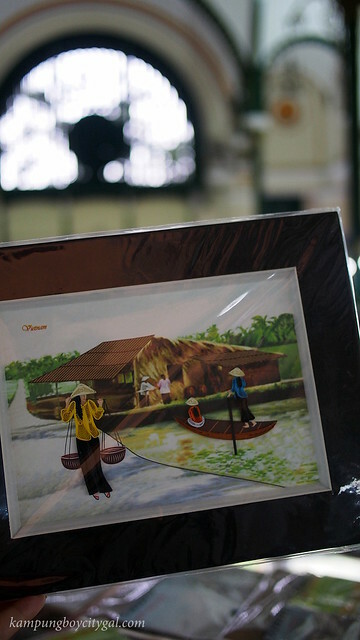 Being a first timer to Vietnam, we do not know what to expect. Upon our arrival to Tan Son Nhat International Airport, there were many taxi touts that approach us as we exit security. Some of them were even wearing an “official” tourist information t-shirt. Remember to turn left once you come out from the airport terminal. 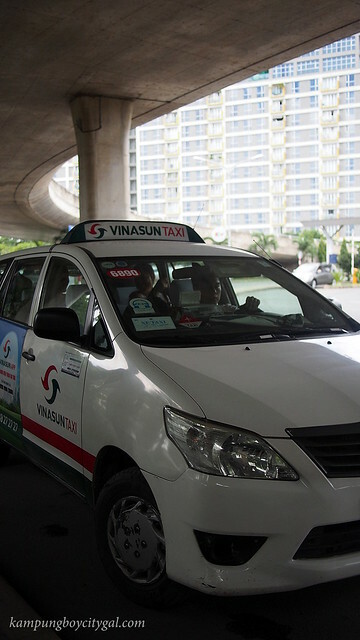 Look out for two legit taxi companies – Vinasun and Mai Linh and wait for your turn by the road side. From the airport, it took us around 30 minutes (150,000-200,000 VND) to the city and to our hotel. 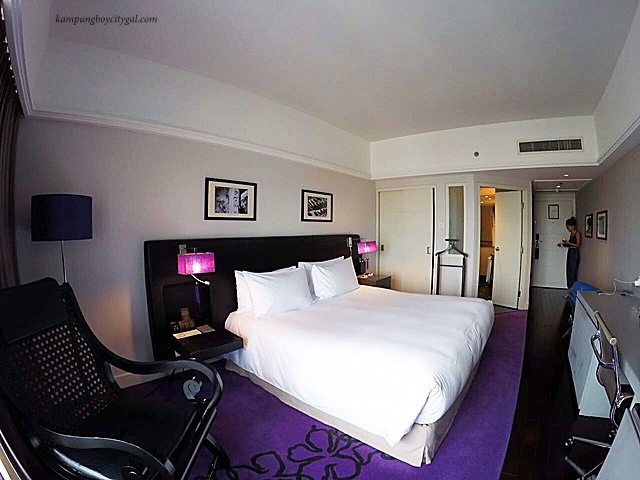 We were staying put at Sofitel Saigon Plaza for two nights. We were greeted with the most amazing hospitality as we arrived. The friendly hotel staffs presented us with some cold towels and refreshing lime juice, followed by a no-frills check in process. The hotel’s location is impeccable. It is so close to to many historical sights such as the Notre Dame and Central Post Office. 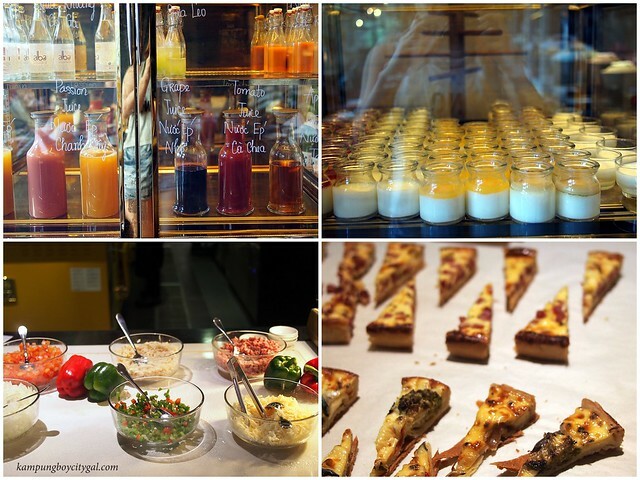 There are many good restaurants and shopping places nearby too. 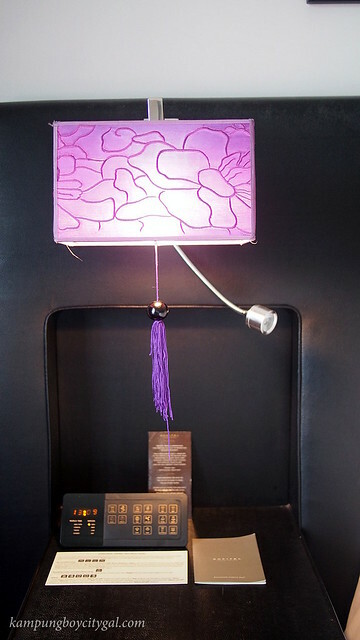 Our room was modern, beautifully decorated with dashes of Vietnamese elements such as the beautiful carpet and bed side lamps. We also had an incredible view of the city. The Sofitel My Bed and pillows from the Pillow Menu were so comfortable that we had a hard time waking up every morning. 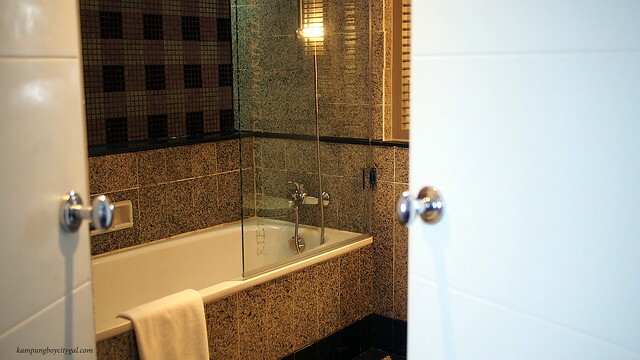 The bathroom was amazing, very clean, very spacious with a nice bathtub – good vanity for us girls that need space for make-up. 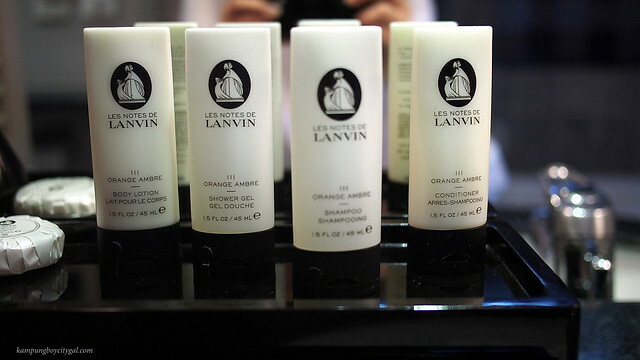 I always look forward to the Lanvin toiletries in Sofitel. The orange ambre scent is really invigorating. Everywhere we go in the hotel, we see classic French-style elegance with a touch of Vietnamese characteristics. 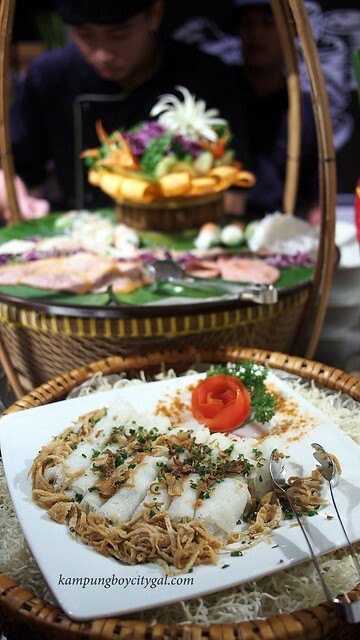 The artful blend of local culture can be found at many corners in the hotel, these are the small little details that define Sofitel Saigon Plaza. It is time to head out for lunch! 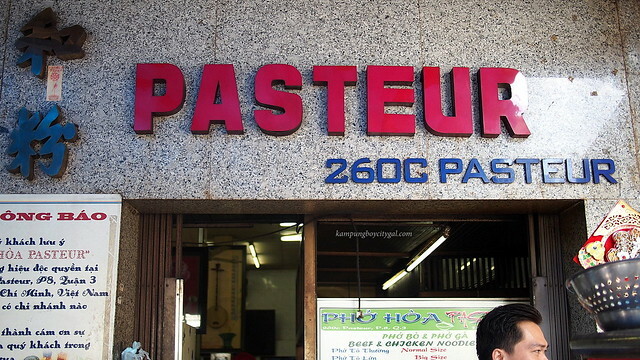 The concierge people recommended Pho Hua Pasteur for one of the best pho in HCMC. 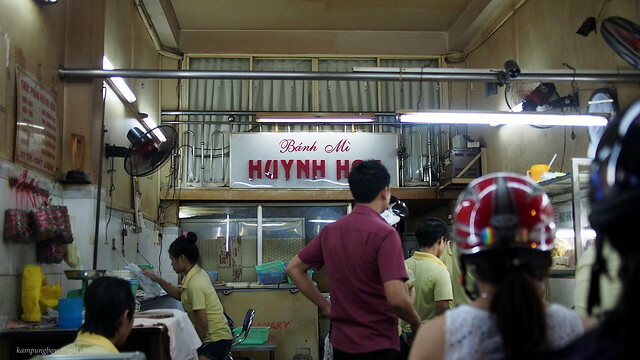 It is an eating institution in HCMC too. We uber-ed our way here and it is actually very easy to locate the restaurant – just look for the crowd. We ordered a mixed pho (7000 VND) that has got beef balls, beef briskets, minced beef and beef tripe. The broth was amazing, incredibly fragrant and delicious. Remember to try the noodles with giò cháo quẩy (Chinese cruller) which is a pretty good way to soak up the broth. We could not finish everything inside this huge bowl of pho. There were too many ingredients inside. 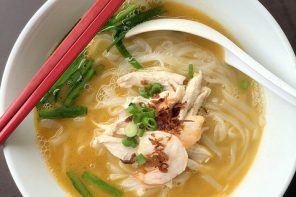 Nonetheless, it is a great place to visit as an introduction to pho, a classic Vietnamese dish. 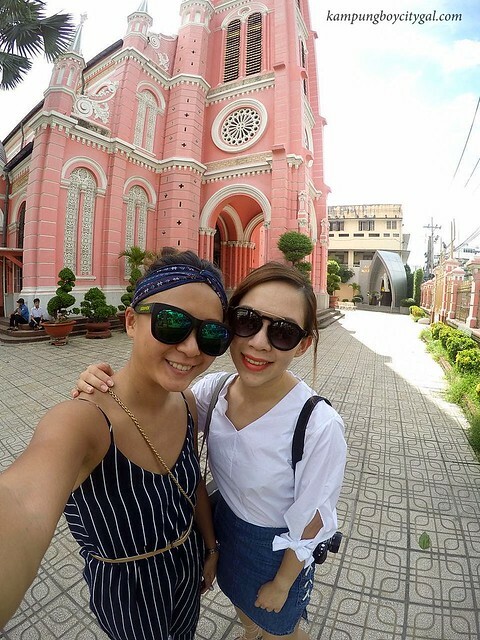 Just few minutes walk away from Pho Hoa Pasteur is the Tân Định church that is built during the French colonial period in the 1880s when Vietnam was part of French Indochina. 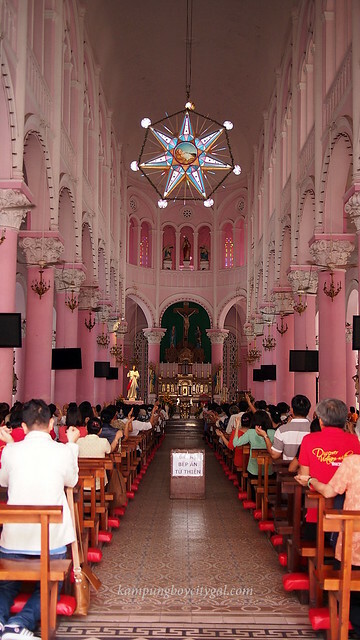 lt is also known as the pink church of Saigon. 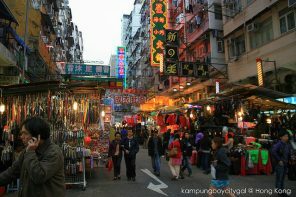 Just opposite the pink church is the Tan Dinh market. 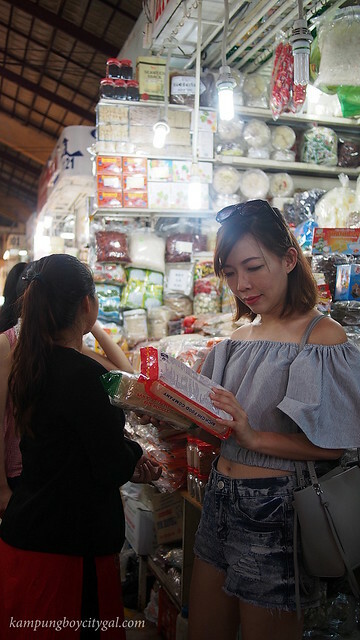 Less touristy compared to Benh Tanh market, it is a real lively market where the locals eat, shop and buy their weekly groceries of fresh meat, fish, fruit and vegetables. Standing magnificently at the heart of Ho Chi Minh City is the Saigon Opera House, built in 1898 by the French architect – Eugene Ferret. The theatre is now a venue for many high profile events and cultural – entertainment activities of the city. Catch a musical or two here if you have some time to spare. We accidentally spotted L’usine, just diagonally across the opera house. Perfect timing as we needed to rest our weary feet. 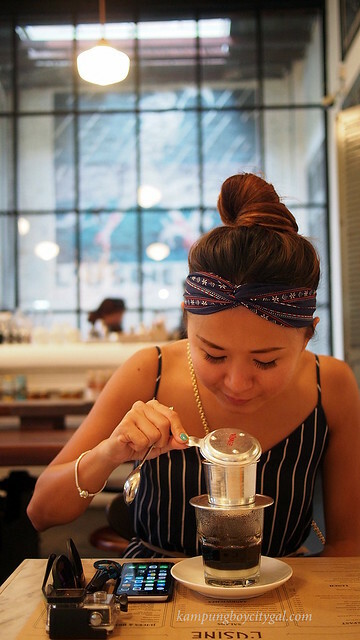 The hipster game is strong even in HCMC, as cafes like this are sprouting up everywhere. 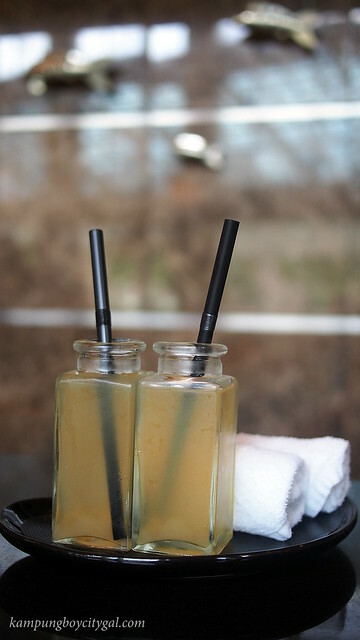 Being one of the pioneers, L’usine is well known amongst the tourists, and they have another outlet at the Dong Khoi area. 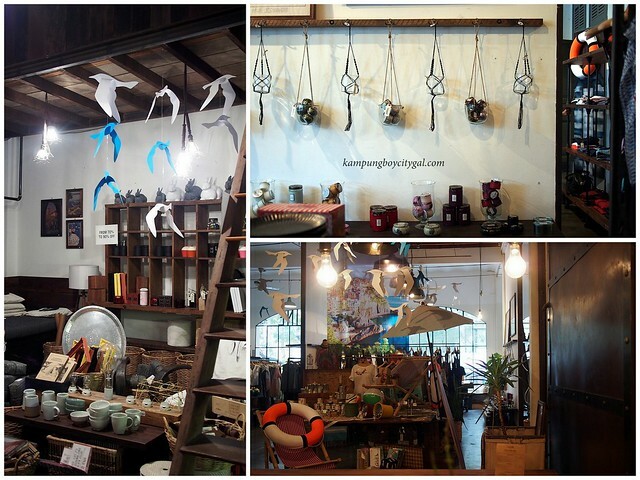 The space is a café, restaurant, art gallery & fashion boutique too. 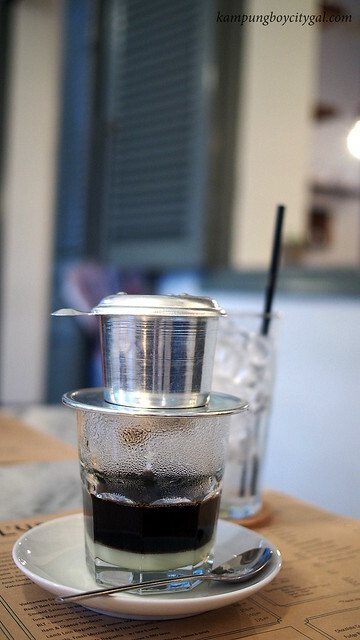 I really enjoyed my Cà phê sữa đá (vietnamese drip coffee) here, it was a little on the pricy side but I guess you pay for the ambience as well. 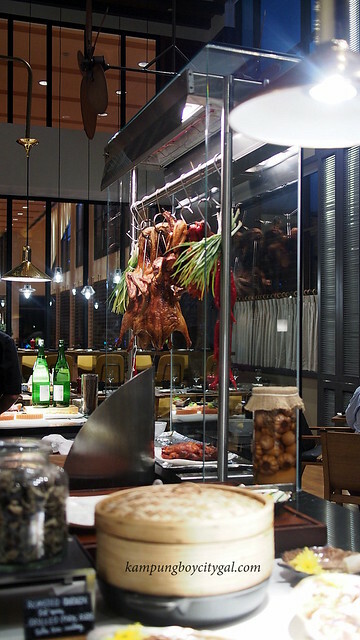 We really look forward to dinner because we are going for the best buffet dinner in HCMC! 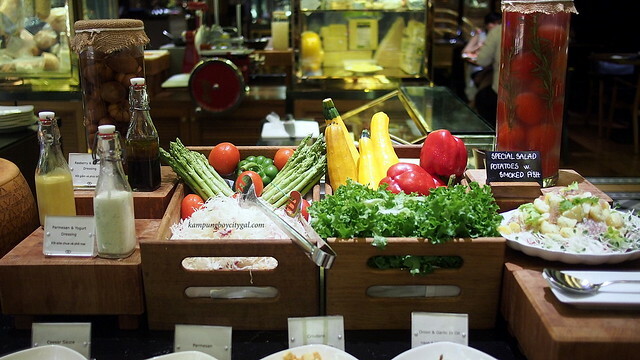 Our dining venue is Mezz @ Sofitel Saigon Plaza that is well known as an interactive buffet restaurant which provides guests a new culinary discovery with international dishes and Asian specialties, along with imported products from France. 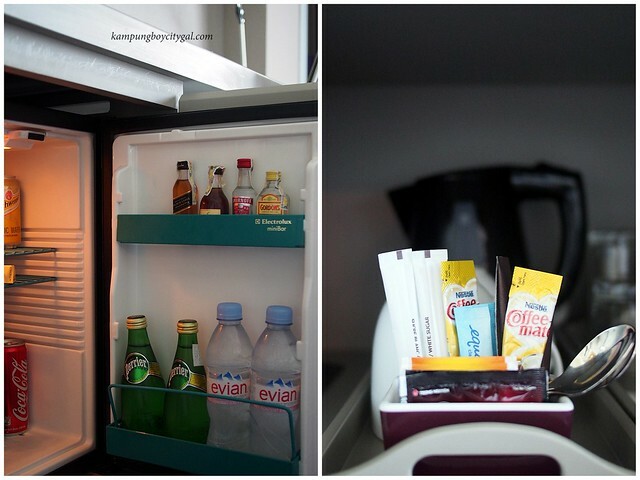 All guests are served with freshly cooked dishes a-la-minute. 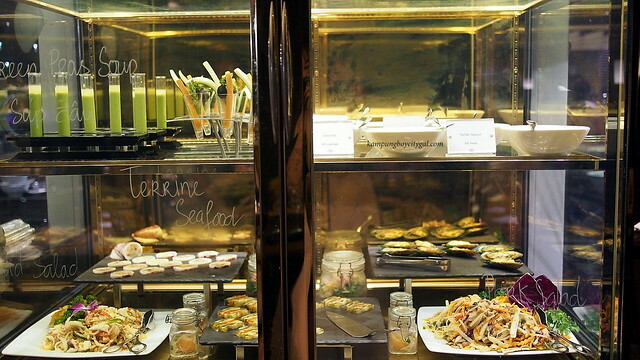 For only 1,200,000 VND, guests can enjoy a wide selection from the large buffet. Just the salad bar alone is overwhelming, I had no clue where to start from. 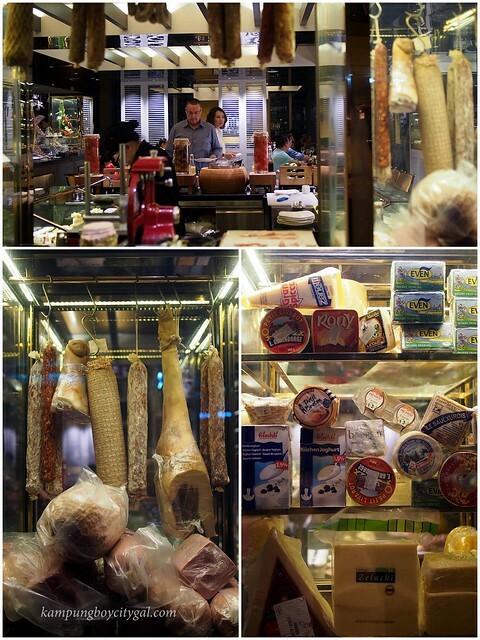 Or select from a wide variety of cold cuts and cheeses, all available sliced fresh to order. 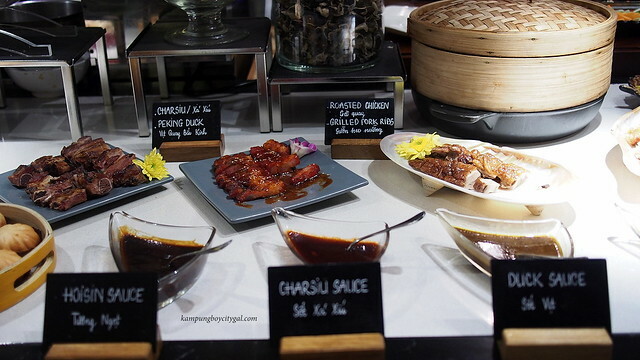 The main highlight of the buffet has to be the seafood station. The oysters were huge, fresh with a sweet and briny taste. 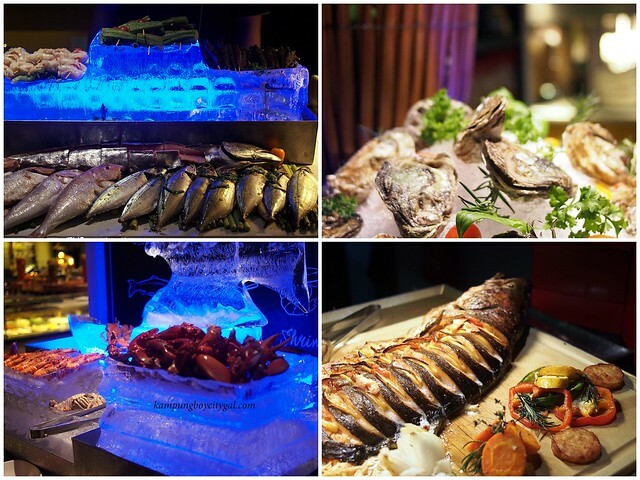 Lobsters, crabs, prawns and fresh fishes were presented on the ice bed, adding more excitement to the seafood counter. 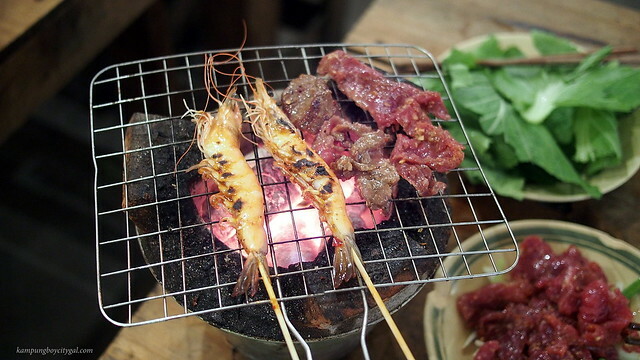 You can also request for the seafood to be grilled to your liking and it will be served to you after you have placed your order. The Japanese station looked equally impressive with the sushi boat and sashimi platter. Not a fan of sashimi? No problem! 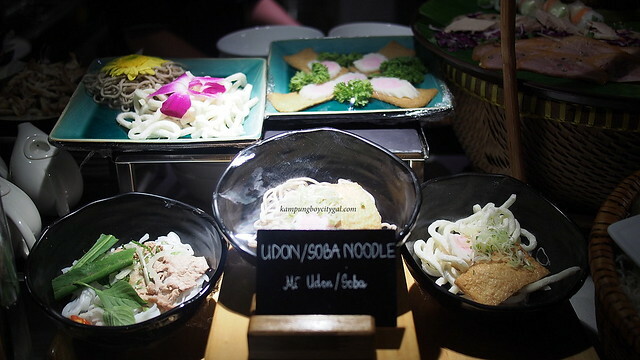 You get to enjoy freshly cooked Japanese dishes such as tempura, udon and soba too. 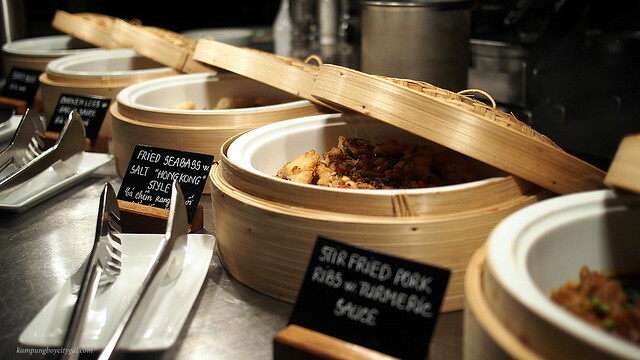 The Chinese station has got a lot to offer too – dim sum, stir fried dishes, fried rice, fried noodles and roasted meat. 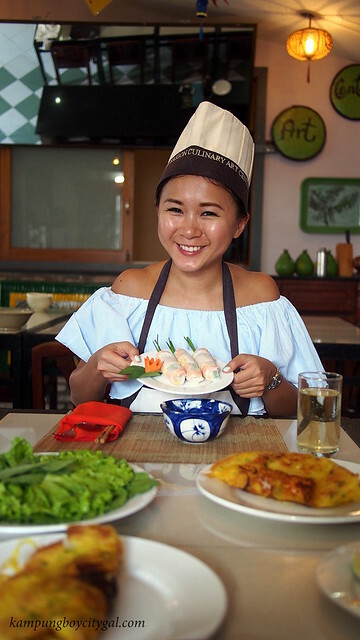 The Vietnamese station offers us a glimpse to the world of Vietnamese cuisine. 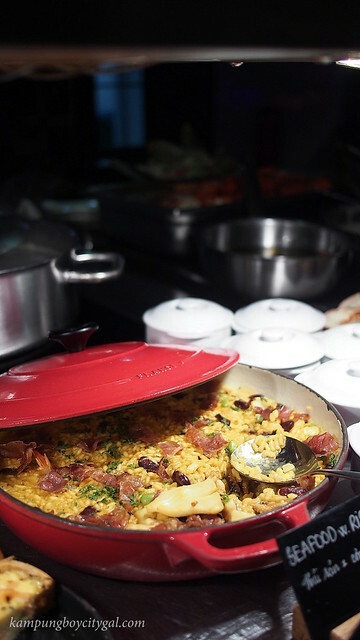 Casseroles dishes, pastas, pizzas, meat carving and etc can be found at the Western station. Of course, the pastas were being made to order here. 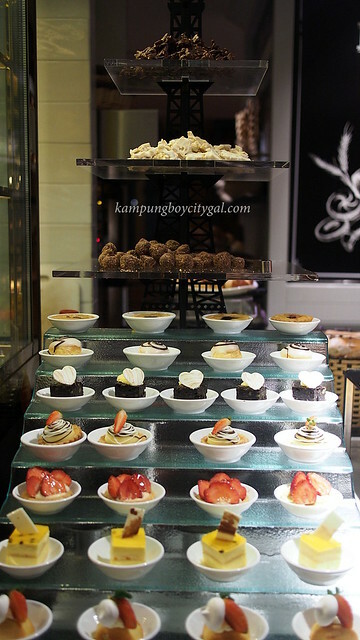 If you go for a buffet meal at Mezeze, don’t forget to save room for dessert. 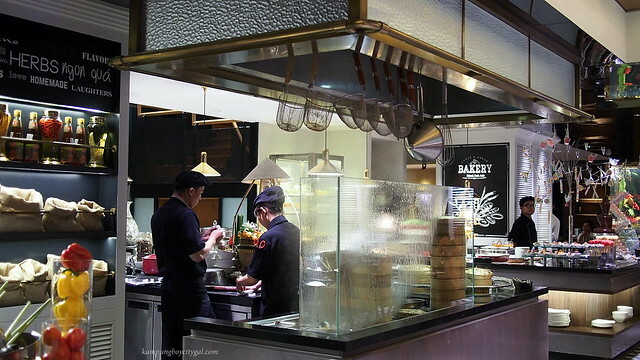 Offering both local and Western-style desserts, Mezzo impresses diners with its wide selection of sweet items such as teppanyaki ice cream and freshly made crepes. 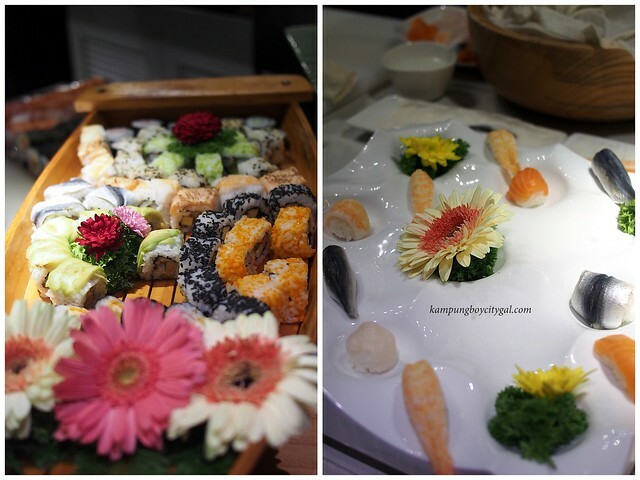 Seafood buffet every Friday and Saturday evening. Rise and Shine! 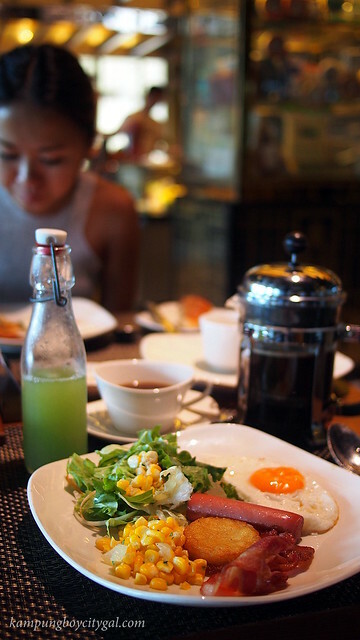 We have heard so much about the buffet breakfast at Sofitel Saigon Plaza from TripAdvisor and really look forward to it. 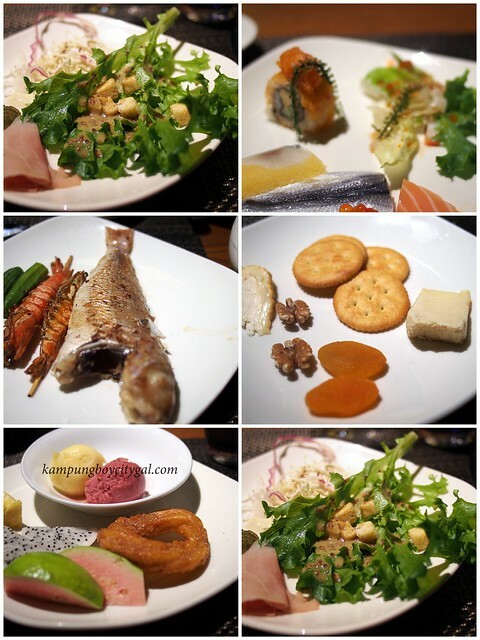 It is also located at Mezze, and the selection was huge. I was so tempted to try everything! Today is a special day because we have booked a local photographer with wanderzoom to capture some of our greatest travel moment. 1. You select your destination and book your preferred photographer. 2. 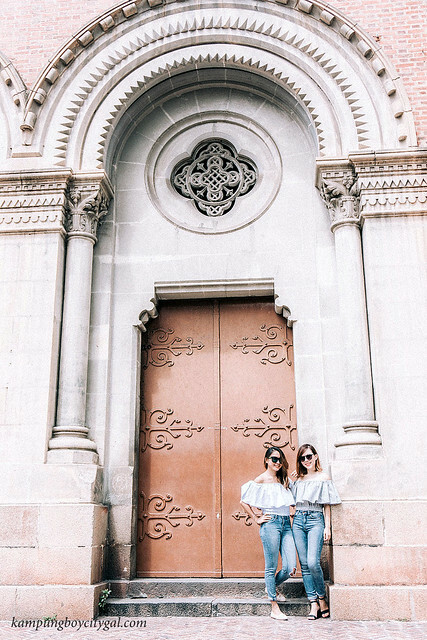 When it comes to your booking date, meet your photographer at the pre-arranged location. 3. Within 7 days, receive an online gallery and high-resolution photos of your photoshoot. We opted for an 1-hour package, that allows us to shoot at 1-2 locations, and we will be receiving 35 photos towards the end of the photo shoot. I must say that it is a really good experience, no frills, secure and fast delivery. Our first shoot location is the Central Post Office. The building combines Gothic, Renaissance and French influences and is a very popular tourist attraction. One can pick up some beautiful, hand drawn postcards here and send it to their loved ones. 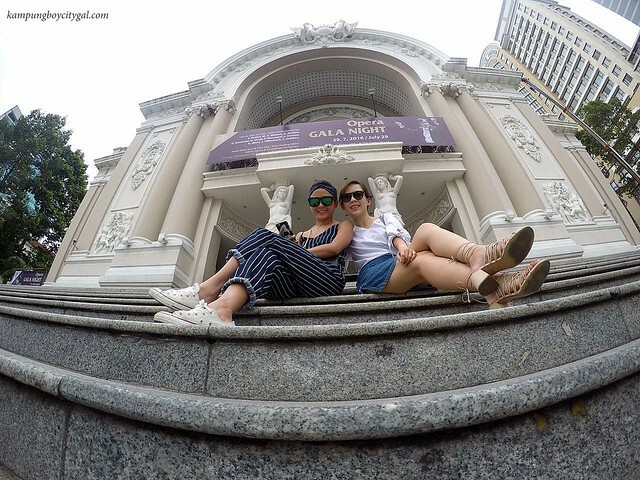 We hopped over to Notre-Dame Cathedral Basilica of Saigon, that is located just opposite the Central Post Office. The cathedral was constructed between 1863 and 1880. It has two bell towers, reaching a height of 58 meters (190 feet). It was great to be able to experience the history, beauty and grandeur of the Notre-Dame Cathedral. 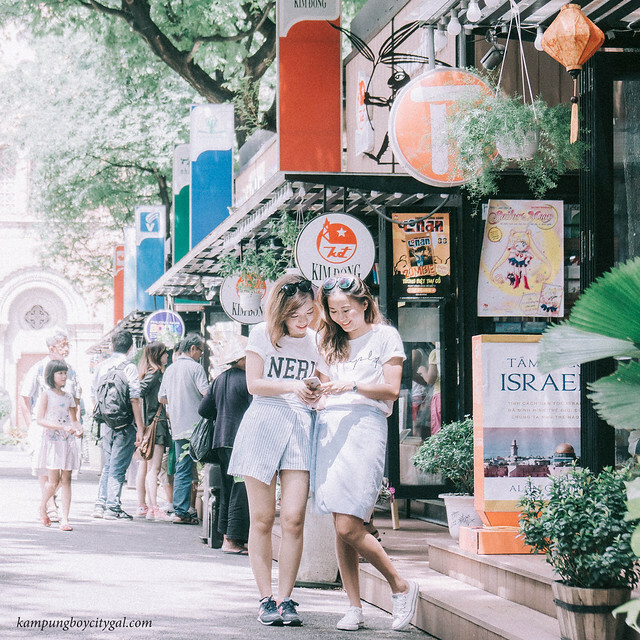 Opposite the Notre Dame Cathedral, Nguyen Van Binh Street is now home to over 20 small shops run by Vietnamese publishing companies. The locals call it the “Book Street”. 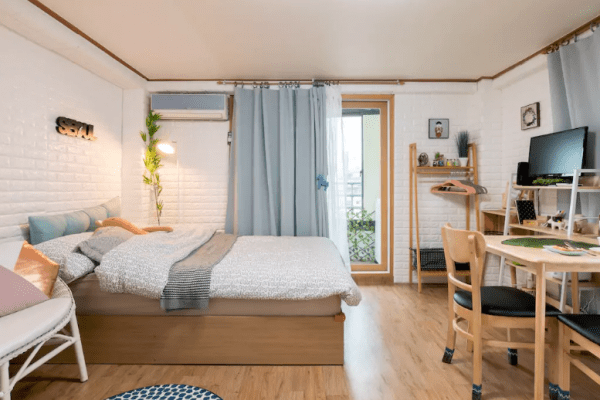 It is also a great shooting location. Here’s us reliving our teenage years. Towards the end of our shoot, we spotted a banh mi stall at one corner of the Book Street. It looks small, but packs a punch of flavour! 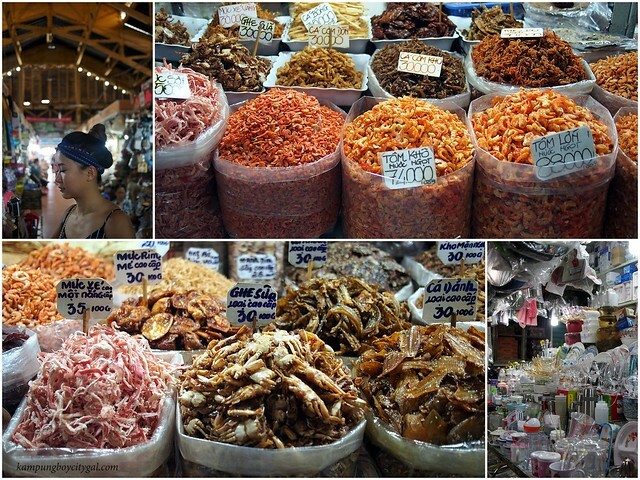 We have signed up for a cooking class in the afternoon and it included a market tour. 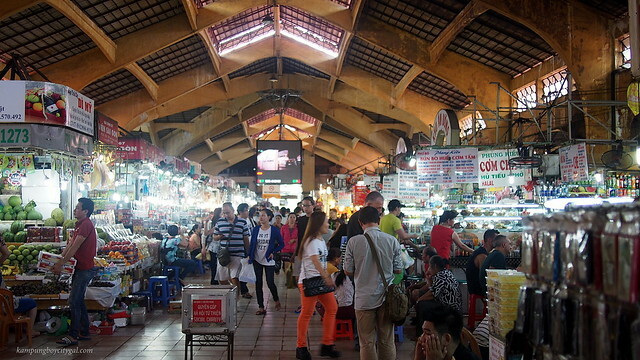 So here we are at the famous Binh Tay market. I was choosing the type of pho noodles to bring home. 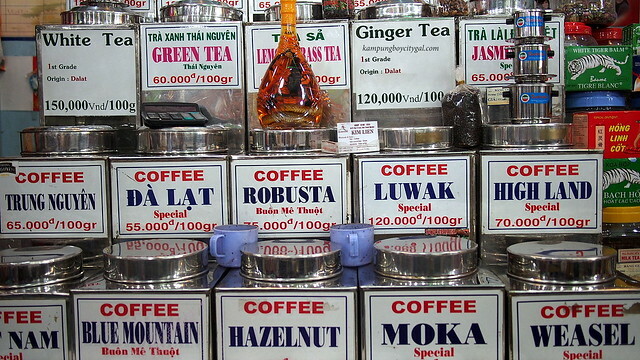 Coffee is part and parcel of a vietnamese’s life, hence the overwhelming selection of blends here. 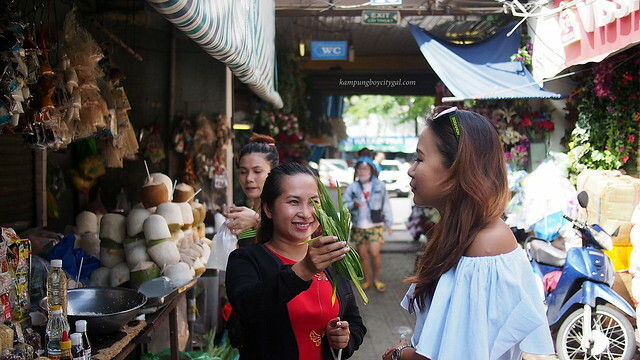 The friendly staff from “Mai” Home – The Saigon Culinary Art Centre showed us some of the local produces that are available in the market. We donned the chef’s hat, put on an apron and all ready to do some serious cooking! 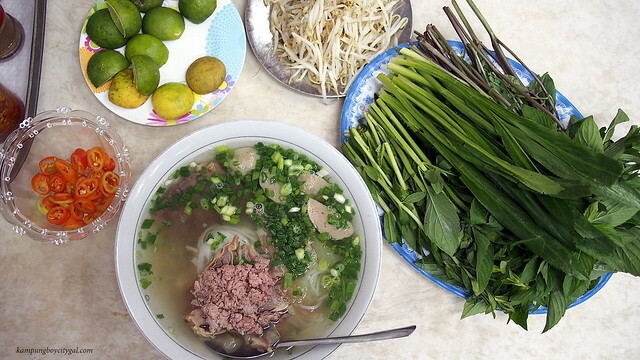 First, we learnt how to make a good bowl of pho. The broth is indeed a labour of love, having to boil it for long hours and to include various herbs and spices. 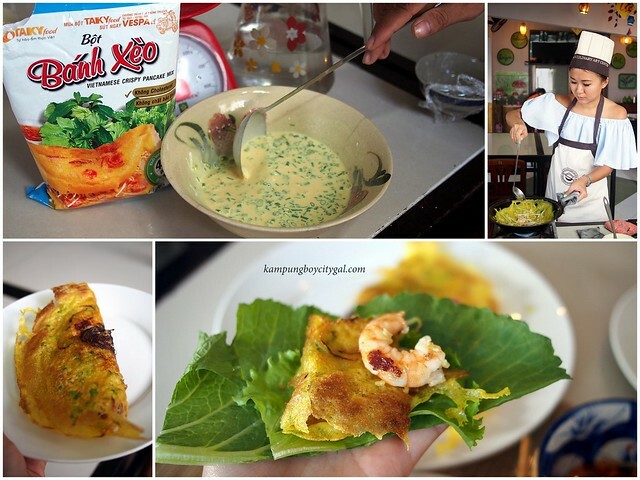 The banh xeo (vietnamese pancake) is the most interesting dish that we learnt to make. It requires some technique to make it into a thin and crispy layer. So good when eaten together with some fresh greens and spicy dipping sauce. 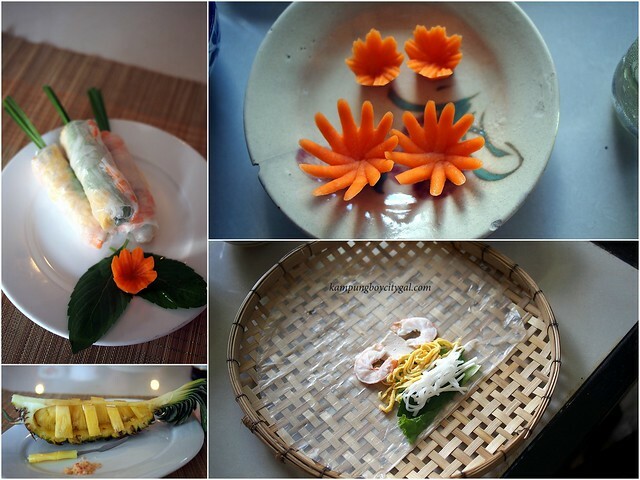 We also made some vietnamese spring roll, carrot art and pineapple art. Now we have mastered the art of making those spring roll with distinctive layers and colours. 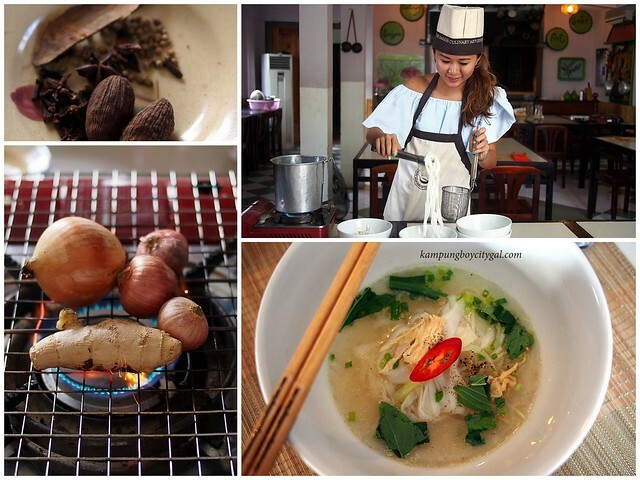 It was actually quite a fun experience learning how to make these vietnamese dishes. 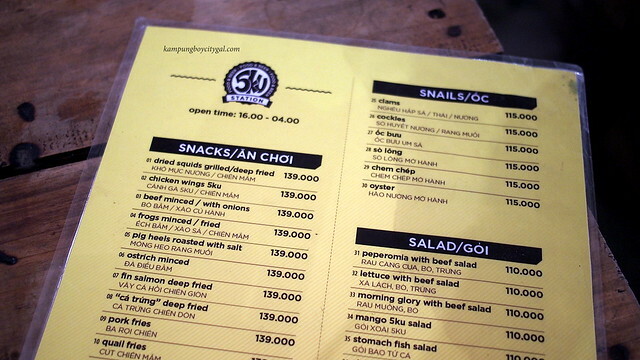 The staffs were really friendly and the cooking instructions are very clear. We need to do a little “test” towards the end of the lesson before receiving our certificate and recipe book. The friendly staff at “Mai” Home took this beautiful picture of us. Thank you so much. 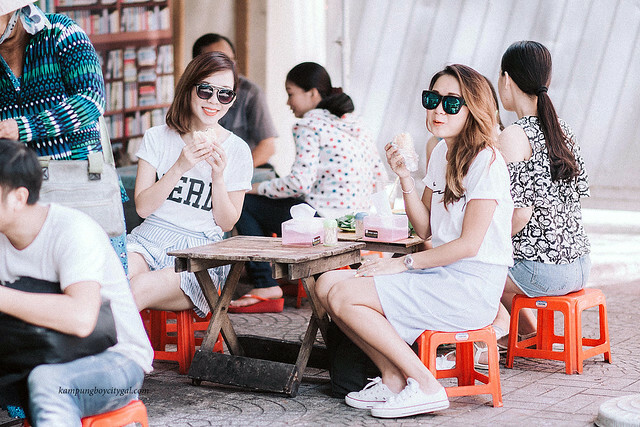 What’s a visit to Vietnam without having some banh mi sandwiches? Since we have limited time here in HCMS, we went straight to the most famous stall of all time – Lesbian Banh Mi/Banh Mi Huynh Hoa. 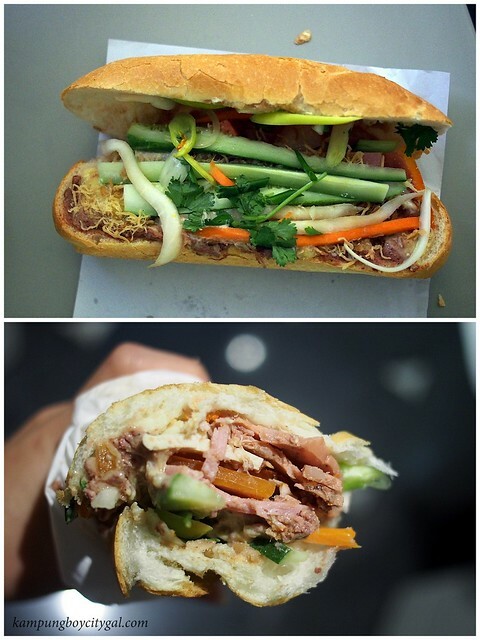 Bánh Mì Huynh Hoa is also well known for its ginormous size. Every piece of baguette is being stuffed with at least 5-6 layers of meat. 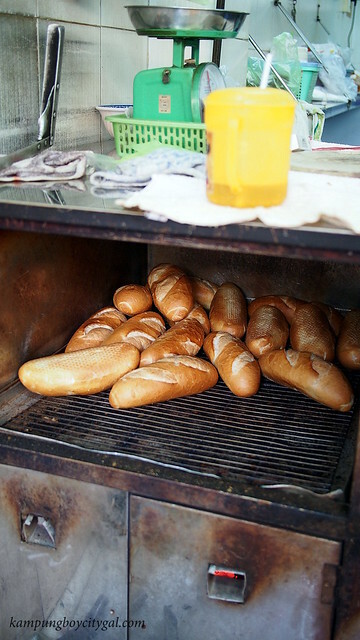 The bread at Bánh Mì Huynh Hoa is being toasted with charcoal fire. It is always warm, and is chewy and soft in the center while being crunchy on the outside. 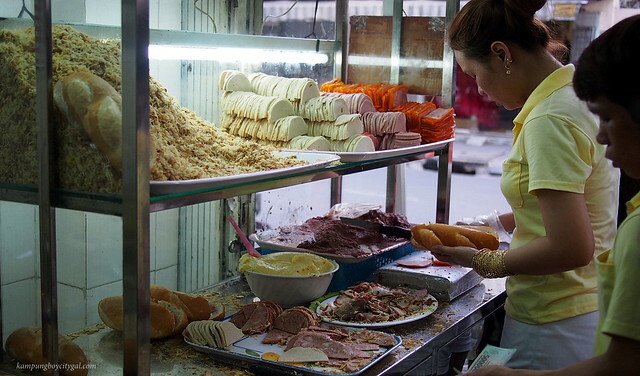 For 30000 VND you get a ginormous baguette stuffed full with pickled carrot and cucumber, cheeses, ham, tripe, liver pate and chilli slices, topped with a wonderful mayonnaise. Each bite of this banh mi is an explosion of flavours and texture. Altogether, it is one of the best banh mi I have ever taste. We went back to the hotel for a short nap before heading out for supper again. Is this a food trip or what? 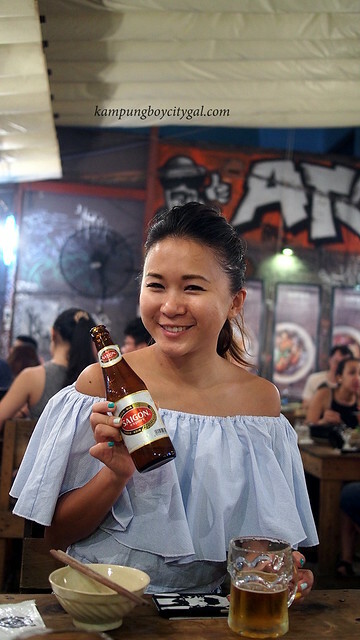 5ku station is a hip and trendy BBQ place in HCMC. 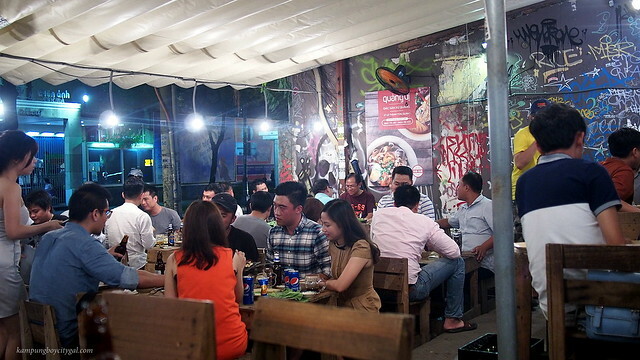 It is a makeshift-looking al fresco barbecue restaurant buzzing with energy and packed to the brim every single night. 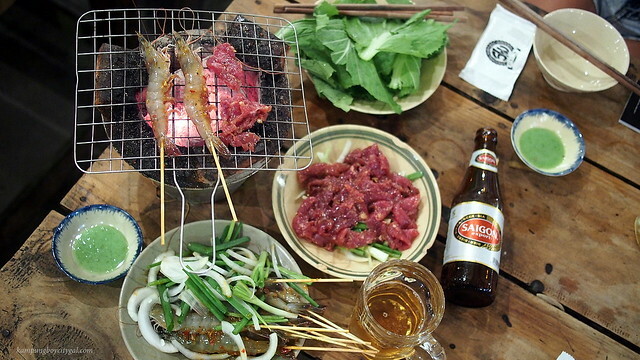 We ordered some cold beer to go together with the BBQ pork and skewered prawns. The marinate was really delicious – spicy, tangy, sweet and bursting with flavours. We really enjoyed the atmosphere of locals drinking beer and watching soccer too. 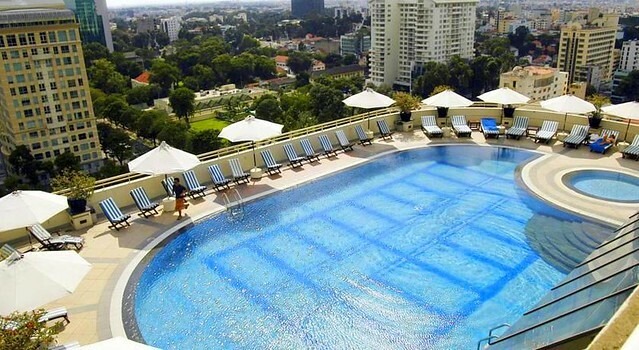 Day 3 was spent chilling at the rooftop pool in Sofitel Saigon Plaza while taking in the breathtaking view of HCMC before heading to the airport. 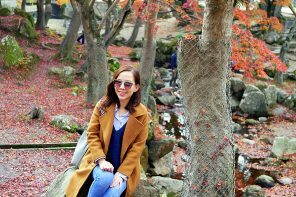 Hi Your blog was vey useful when i planned for our family trip to Sapporo Hokkaido last January. Now im planning with my girlfriends a trip to HCMC this June. We are gonna be there for 5 Days. How was the cooking class? Was it a private class just for you? Do you have any other must see places you werent able to go to bec of time constraint? Hi Shirly! The cooking class was good, it’s consider as an private class because there’s noone else during our slot. Other must see place? maybe cu chi tunnel day trip? We dont have enough time.